Unfortunately this is not the movie “A field of dreams”. If you build it they will not necessarily come. You need to let people know you are there. You are not a club until you have some students so promoting your new club is one of the most important things for you to do. Even once established you should view promotion as an on-going activity to ensure you have a steady stream of new starters. The unfortunate reality of martial arts is that there is a high dropout rate so you need to keep new blood coming through the doors. Even if you have the best club with high retention rates, unless you continue to get new white belts joining the club you risk ending up with a top heavy club with only senior grades which can make it very intimidating for new students to join. There are some very obvious ways of promoting a club and some you may not have thought of. The list below is not exhaustive but should give you plenty of ideas to think about. It may seem obvious but the first thing to do to promote your new club is to talk about it with the people that are close to you. Get a buzz going between your family and friends. Setting up your club will take some doing so it will undoubtedly be in your mind a lot of the time. Share your thoughts with people and get them talking and thinking about the club too. Encourage them to mention it to people they know. You can not underestimate the power of word of mouth when promoting a club. A recommendation from a friend will be far more effective than even the best advert. Talk about it at work. If your employer allows send an email out to your colleagues with details of the club. They may want to join or have people they know that would join. If you have young children and do the school run then talk about it with the parents at the school gate. They may want to get their kids involved or might want to get into a class themselves for fitness. Basically talk, talk, talk about it and then talk some more. Let everyone know you are there. Posters are a great way to promote your karate club. For details on how to create the perfect poster for your club click here. I would aim to get around 50 posters done initially and then head out to blitz your local area. There are many places where you can put posters. You definitely want one at your venue so hopefully there is a notice board or window where you can display a poster. Then you need to visit local shops, post offices, community centres, hair dressers, sports halls, doctors’ surgeries etc. and get posters put up in these locations. Be prepared to have to pay a small sum of money to some of these places so have a pocket full of change on you when going out. Keep a look out for community notice boards and try to get posters up where people will gather. If there is a chance to get a poster up at a bus stop or train station that will be great. You may see posters attached to telegraph polls and lamp posts while you are out. Personally I avoid putting posters up on these. If I don’t have permission then I won’t put a poster up. I don’t want my club creating a bad impression before it opens by littering the street but you may find the odd poster on a lamppost works for you. Another idea for your posters is to attach one or two to the back windows in your car. That way you are advertising your club everywhere you park up. Leave piles in strategic locations – take a handful of leaflets to different locations and ask if you can leave a little pile of them somewhere where the customers can pick one up if they are interested. This can work if they are left in hair dressers, doctors or dentists waiting rooms and can also work in libraries or school reception areas. If someone is sitting bored waiting for an appointment they might just pick one of your leaflets up and have a read. They may stuff it in their pocket or handbag and there you have a new potential student. Deliver door to door – Sometimes the only way to let people know you are there is to put a leaflet through their letterbox. This may go against most peoples thinking as we all hate junk mail but local businesses do this all the time. How many window cleaner, landscaping or pizza shop leaflets get delivered through your door on a monthly basis? Most are chucked straight in the bin but some are kept and acted upon. A lot of this is luck. If someone is thinking about starting a martial art and then your leaflet lands on their mat then you have a good chance of getting that person as a student. They may even think it is karma. Unfortunately it is not easy to get your leaflet delivered at the exact time that somebody wants it. However you can use a couple of tricks. At certain times of the year people’s minds turn to fitness and bettering themselves. A perfect example is after an over indulgent Christmas a lot of people make a resolution. Now if their resolution is related to fitness or starting a new hobby then the arrival of your leaflet in the first week of January could send them your way. The same principle can be applied after Easter or leading up to the summer holidays when people are thinking about their beach bodies. If you tailor your leaflet to play on this fitness aspect your leaflet drop may be more successful at those times. Another trick is to deliver your leaflets on non-postal days i.e. bank holidays or Sundays. On a postal day the leaflet will get caught up with the normal post and can be easily ignored. On a non-postal day when the letter box opens and shuts the occupant is immediately curious and will most likely go and investigate. They may just bin the leaflet anyway but if they have got up to go to the door they may at least read it on the way to the bin. I don’t mean to be too negative about leaflets being binned but the truth is that is where most will end up. Door to door leafleting is a numbers game and putting out a thousand leaflets may only result in a handful of students or even enquiries. I still think that it is worth doing when trying to grow your club. If the thought of hand delivering 1000 leaflets puts you off then try to recruit some of your students to do it for you. You can always offer them a couple of free lessons to compensate them for their time or they may just be happy to be helping out their club. A further alternative is to go out with a handful of leaflets wearing your training uniform and stand on a high street or busy thoroughfare. Hand the leaflets out to passers-by and try to engage members of the public to talk about your club. This may be a little scary but you are going to be standing in front of a room of students soon enough so this may be good practise for you as well as a method to get new students. When I first opened my club I made an A-board out of an old wallpaper paste table and attached posters to it. I then tied this up outside my venue with a sign on it saying “Club Here Tonight”. This was a great way to advertise the club to foot traffic that is walking past the venue or even cars driving past. It also served as a marker for new students so that they could easily find the venue. You can buy professionally made A-boards and large poster prints from many online stores or high street stationers or an alternative is a printed banner which can look very professional and serve the same purpose. This may not be something that you think of but you will look far more professional when talking about your club if you can hand over a business card with your details on rather than scrabbling around for a pen and paper. You can also pin cards to notice boards and leave little piles of them in waiting rooms etc. instead of leaflets. Lots of companies offer cheap business cards and allow you to fully customise them to fit your art. I use Vistaprint for my cards and they usually have offers on. Find out what newspapers, newsletters, parish magazines etc. are delivered or are on sale in the local area. If you live local to the club then you will be able to collect these for yourself otherwise if you have students that live local to the club ask them to help you. There may also be online editions of these publications so try some searching on Google to see what you can find. Try to find out how to submit articles to each of the ones that you have found. Somewhere within them there should be contact details for the editor. Prepare an article that describes your club and get some pictures together to go with the text. Try to think of an angle to make it interesting to the editor so that they want to publish it. For example if you had to overcome some kind of adversity to become an instructor or had some good achievement then that could form a general interest story that leads onto to talking about the club. Things such as being a very young or very old instructor, large weight loss, overcoming illness, winning a national trophy etc. could be used as a springboard for the story. Make sure you include contact details in the article for people wanting to find out more about the club. Hopefully you will get some column inches out of it and if this could be delivered to households right across your catchment area. This is a very effective and cheap way to mass market your club. Keep the editors onside and you might get a story printed every so often when the club has achievements such as competition success or gradings etc. If the editors are not printing your articles then it may be worth looking at paid for adverts in these same publications. A lot of local papers depend upon advertising for their survival so they will happily accept an advert from you. 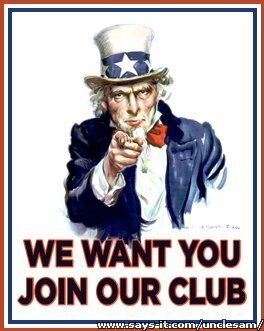 The advert needs something to grab the reader’s attention, give some details of the club and a contact number or email. The costs can vary between different publications so you need to decide if this route will be cost effective for you. Creating a special offer can entice some students to join your club. In my club we always offer the first class for free with no obligation to join. This allows the prospective student to get a feel for what we do and how we run the class to see if it is a good fit for them. We make sure we collect some details from the person such as their contact details and we always ask how they found out about us, as this helps with our marketing. At the end of the free class it is important to try and get a commitment from the student to come back. This is a tough act as you don’t want to put the hard sell on them but you do want them to come back. Having worked with the student through their trial lesson you should have a gut feeling whether they were enjoying it and if they are likely to come back. Make sure you answer any questions that they might have and find out if there is anything that might put them off returning to see if you can assuage those fears. Another idea is to offer 2 months training for the price of one. A BOGOF offer if you like. It may cost you in the short term but if that student stays with you until they are a black belt and beyond then taking that hit at the start will pay for itself many times over. Some clubs offer a starter package where for a one off price the student gets a training uniform, a number of classes paid for, insurance, association membership and a student manual. These can be a good idea as the student get everything they need in one go and once they have paid out a larger financial amount they may be more motivated to come to training to get their money’s worth. Encourage your students to bring a friend along to class for a trial lesson. Some students may do this naturally or be willing to do it to try and help grow their club. For those that are shy or reluctant to do this you can give them an incentive such as free lessons or maybe pads or other equipment if they bring someone along and they then join (and stay at) the club. Why not show the world exactly what you can do and what you can offer them. Most schools have a summer fair on the school field, many churches and community groups have similar events and lots of villages have their own festivals on the village green. Find out what is going on in the area local to your club and see if you can contact the organisers to see if they would allow you to do a demonstration. I think a lot of these will be happy to give you a slot on the day when you can show off your stuff. Plan what you are going to do in advance and make sure it looks impressive. You want the crowds to be wowed and wanting to find out how to do it. Things such as board or breeze block breaking , high jumping kicks and use of weapons will definitely impress. Make sure anything you are doing is flawless. Practise, practise, practise. It will not look good if you fail to break, stumble or fall while displaying techniques. Get some of your students to help you on the day and get them to wear their training uniforms. Take along a batch of leaflets and business cards and have your students hand these out. Walk around in your uniform while the fair is on and be ready to answer any questions interested members of the public may have. As well as doing an outdoor display at a fair it is also an idea to put together a demonstration class that can be offered as a taster session. You can then contact local schools or even other youth groups such as Scouts and offer them a free taster class. You would then go to the school or club venue and run a modified class for say an hour making sure that it has all of the fun elements to try and hook them in. Again make sure that you have leaflets and business cards for interested parties to take away with them. Keep an eye out for any local initiatives in your area for fitness or weight loss. There are sometimes drives to get kids active or local NHS groups trying to tackle obesity. If you can get involved in any capacity with any of these then you may have individuals that are actively looking for a way of getting into fitness coming to you through referrals from these schemes. Most colleges offer adult learning on a term by term basis in subjects such as photography, computing, cake baking, car mechanics, decorating etc. Why not visit your local colleges to see if there is any possibility of offering evening classes in self-defence? You can devise a program of say 10 classes that takes the student from the basics of self-defence through to some more advanced techniques. You will be paid by the college for these courses and they will provide the venue so that is good in itself but once you have the students there seeing what you can do and getting a bit of the martial art bug you can start talking about your regular classes and the belt system etc. There is a good chance that you will get some students from this. Approach local businesses to see if they would like to send their employees on a basic self-defence course. Some businesses offer this to their female employees. This would be maybe a half day or one day seminar to teach some basic techniques and strategies for staying safe. Of course mention your regular classes and have leaflets available for them to take away. These days with digital printing you can get your design on almost any item you can think of. Many companies such as Vistaprint offer a wide selection of different products and allow you to upload your own artwork to be printed on the items. If you have a logo for your club then upload this to the sites and have it printed on products such as pens, mouse mats or mugs. Then you can use these items in the office or at home to spark conversations when people ask what the logo is. You can also use branded products to give away at demonstrations or other events to help promote the club; branded pens are an ideal item for this. Another idea is to give branded products away as part of an incentive program within your class. Students that work hard or students that bring along new members could be awarded a branded product. Whenever they use the gift your clubs name and logo will be seen. One of the first places prospective new students will look will be the internet. Hopefully your club will have its own website but as well as that I recommend that you register with as many websites as you can find and add the club details to them. Some of these websites will rank very highly with search engines so your details have a good chance of appearing on page one. There are websites set up specifically for martial arts and fitness clubs and then there are more generalised local sites like yellow pages or Thompson directory. These usually allow you to give class details like location (sometime including a clickable map), opening times, contact details and other club information. If you have a website then make sure you include a link to it on these sites as the links from these sites could help with the SEO of your website. A good list of links can be found by clicking here. This is by no means exhaustive so keep a look out for other sites, especially local ones that you can also add to. I suggest doing a search for martial arts, karate, MMA etc. in the search engine and then note down the sites on the first few pages of results. Repeat the search including your town name and then do it again with your county or region. This should give you more sites that allow clubs to advertise on them. Note that some of these sites will charge for registering but may offer advanced listings, higher ranking in their own search results or added features. Weigh these up and decide if you want to pay or just stick with the free ones. Note that Yellow pages and Thompson directory also still produce hard copies that are delivered to homes in your local area so you could explore having a paid for listing in those too. Add your email address, web address and social media connections as hyperlinks so it is easier for people to simply click them to follow the links. Sign up for a Google account and then you can register with Google places. This will allow you to enter your club details, contact details, opening times, photos, logo and your venue location on a map. When people search for your club in Google the results will include a map with a red arrow pointing at your club venue on the map. When this is selected your club details will be displayed. The best thing about doing this is that the map result normally appears on the first page and right at the top so it is a great way to get noticed on Google. When adding your details make sure you are careful that you get them right first time as it takes quite a long time for changes that are made to your listing later to appear in the results. Also notify people at your venue that you will be putting them on Google places. Google send a postcard to the registered address with a pin code that needs to be entered before your listing goes live. If you let the venue know then they can pass the postcard on to you. Once you have entered the code your listing should start to appear within a couple of weeks. Another idea for promoting your club is to create a video to be published on Youtube. We have all seen videos that have gone viral like Psy’s “Gangnam Style” and “Charlie bit my finger” but you don’t need to be getting a global audience in the millions. However you can use Youtube to get your club details out there in a visual way that is easy for your potential students to digest. You can include links to the video on your website and in your emails to promote it. Your video can have a link back to your website to help with the SEO of your website too. To create the video you can go as low budget as a slide show or give it the full Hollywood treatment. I have seen some successful videos which have been created in Powerpoint with information on slides which also include images and animations. You can set all this to an appropriate soundtrack. I have seen lots of videos that have the track Kung Fu Fighting by Carl Douglas playing over them. Alternatively you can whip the camera out and start filming your masterpiece. A club in my association created a very professional looking short film that showed a choreographed fight between two of the senior black belts. When doing a film you may want to think about scripts, costumes, locations, lighting etc. basically anything that your average Hollywood director needs to think of. Once the filming is done it is time to edit the footage to make it into a coherent piece of work. Also think about adding graphics, text and music to the video when editing. To submit your video to Youtube you will need to have a Google account. Once you have that it is a fairly intuitive straight forward procedure to upload the video from your computer to their server. Larger videos or HD may take a little longer to process. Once your video is up there you can put links to it in your emails and on your website or you can even embed a Youtube widget so the video can play directly in your website too. One consideration is to think about disabling comments on your video. It would be nice to get praise for your efforts but it could look bad if a troll starts putting negative comments or abusive language.